 From the December 2014 edition of Desktop News | A book examining the impact of the Cold War on the U.S. South, written by a College of Arts and Sciences historian, was recently recognized by the Southern Historical Association as the best book in southern economic or business history published in the last two years. The Bennett H. Wall Award recognized Dr. Kari Frederickson, professor and chair of the Department of History, for Cold War Dixie: Militarization and Modernization in the American South. Cold War Dixie looks at the economic, cultural, political and social changes that accompanied the creation of the Savannah River Plant in South Carolina, which was responsible for producing materials for the hydrogen bomb. According to Frederickson, the plant was enormous, covering more than 300 square miles and employing nearly 10,000 scientists, engineers, technicians and support staff. Frederickson said she is grateful and humbled by the committee’s selection of her book, especially considering that she didn’t initially see the book being categorized as a work of business or economic history. The more research she conducted, however, the more the economic impact of the plant became apparent. “The plant was overseen by the Atomic Energy Commission and run by DuPont Corporation,” she said. “As I proceeded with research, it became clear to me how influential DuPont’s corporate culture was on the development of the area. DuPont, although it made a lot of money on defense work, prided itself on its consumer products. Its slogan was ‘Better Living…Through Chemistry,’ and it closely identified itself with America’s postwar consumer culture. “The company also allowed its employees a lot of flexibility and freedom to pursue their research and to solve problems. DuPont employees brought these values to South Carolina, dramatically changing how the communities surrounding the plant and housing these employees dealt with issues such as civil rights. 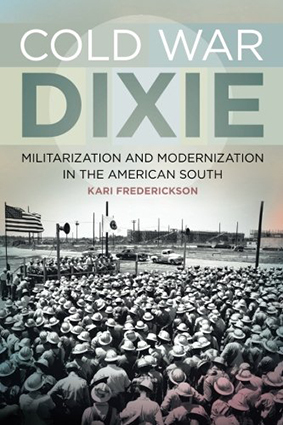 Cold War Dixie was published by the University of Georgia Press in 2013.